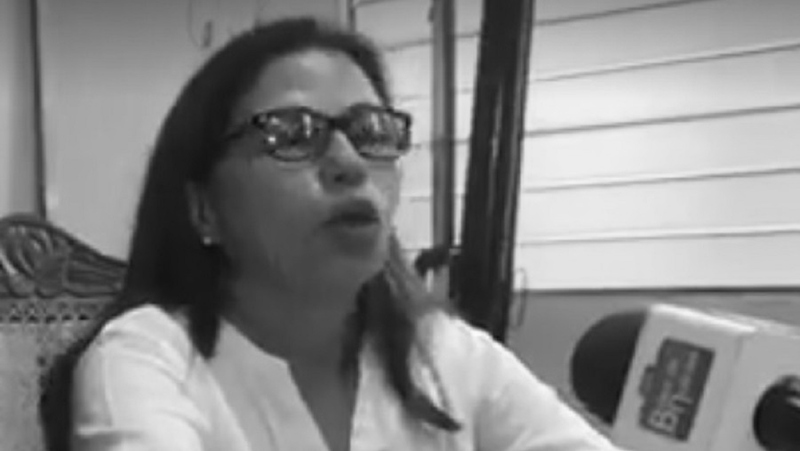 THE FACTS – On Sunday October 14th, at the Managua airport, Haydeé Castillo was forced to get off of her American Airlines Flight and then arrested and taken to the prison known as El Chipote on charges of financing terrorism. 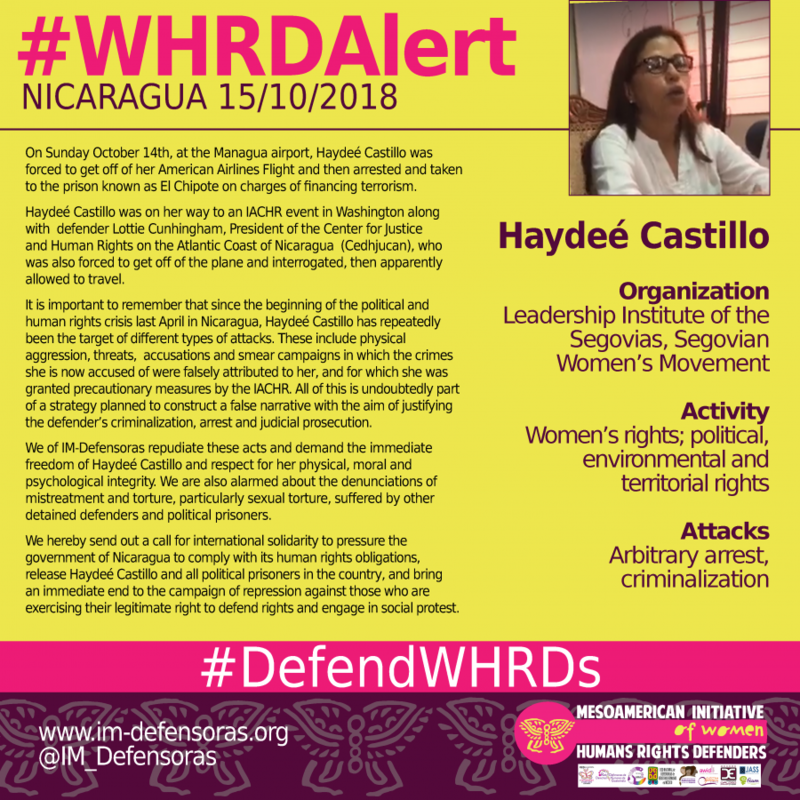 Haydeé Castillo was on her way to an IACHR event in Washington along with defender Lottie Cunhingham, President of the Center for Justice and Human Rights on the Atlantic Coast of Nicaragua (Cedhjucan), who was also forced to get off of the plane and interrogated, then apparently allowed to travel. It is important to remember that since the beginning of the political and human rights crisis last April in Nicaragua, Haydeé Castillo has repeatedly been the target of different types of attacks. These include physical aggression, threats, accusations and smear campaigns in which the crimes she is now accused of were falsely attributed to her, and for which she was granted precautionary measures by the IACHR. All of this is undoubtedly part of a strategy planned to construct a false narrative with the aim of justifying the defender’s criminalization, arrest and judicial prosecution. We of IM-Defensoras repudiate these acts and demand the immediate freedom of Haydeé Castillo and respect for her physical, moral and psychological integrity. We are also alarmed about the denunciations of mistreatment and torture, particularly sexual torture, suffered by other detained defenders and political prisoners. We hereby send out a call for international solidarity to pressure the government of Nicaragua to comply with its human rights obligations, release Haydeé Castillo and all political prisoners in the country, and bring an immediate end to the campaign of repression against those who are exercising their legitimate right to defend rights and engage in social protest.